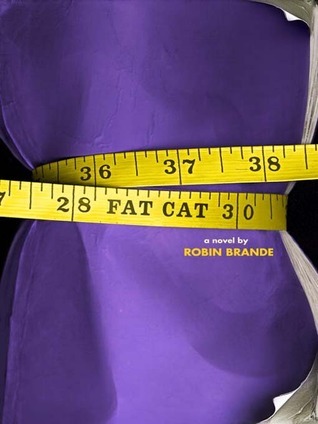 This funny and thoughtful novel explores how girls feel about their bodies, and the ways they can best take care of their most precious resource: themselves. This book had lovable characters with whom you could easily empathize, and the story was definitely a page-turner - but it was a predictable page-turner. I knew how the story was going to end, which is fine because a predictable ending doesn't always equate bad writing, it just means that you'd better have some really great characters to make it worth the ride. I also got the feeling that the book was written less to entertain and more to educate/preach the gospel of vegetarianism....more This book had lovable characters with whom you could easily empathize, and the story was definitely a page-turner - but it was a predictable page-turner. I knew, not only how the story was going to end, but also some of the other plot details that Cat was waiting to reveal until later in the novel - which is fine because a predictable ending doesn't always equate bad writing, it just means that you'd better have some really great characters to make it worth the ride. I also got the feeling that the book was written less to entertain and more to educate/preach the gospel of vegetarianism. Again, this is not a bad thing, I just wish it had been a little more seamless in its delivery. Readers can be turned off if they feel like they're being manipulated. Having said that, I think Brande's message is a great one for those teens have have been flirting with the idea of vegetarianism. It might, however, turn off the readers who feel like Brande was trying to convert everyone to that way of life. Even with my criticisms, this was still a solid, entertaining novel that I thoroughly enjoyed.